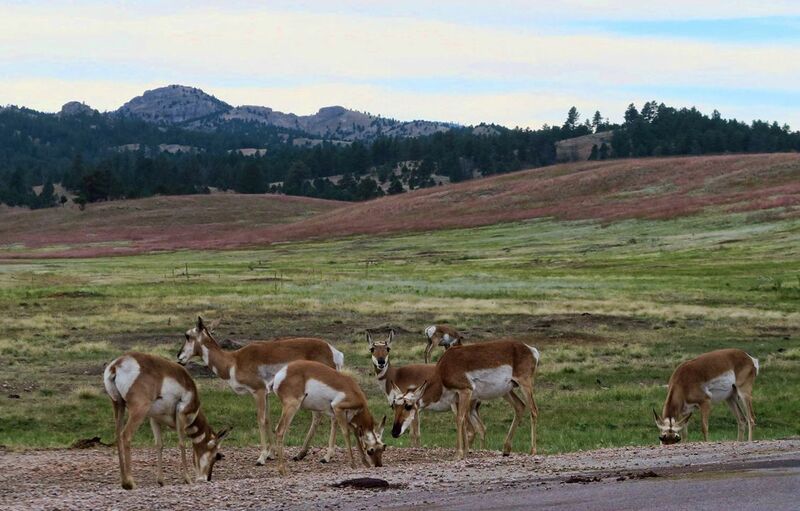 It doesn’t take long after crossing the state line into South Dakota to reach the first of the state’s two national parks (Parks with a capital “P” of which there are 59 in the NPS.) A quick pass through the town of Hot Springs, and I am crossing the park boundary before I know it. Research has indicated that the town of Hot Springs is “HSINO,” (hot springs in name only) as the only source for the spring is a kids pool that is warm, at best. So I skip the pool and go straight for the park. As soon as I see the typical National Park sign at the park boundary, traffic is stalled out ahead. 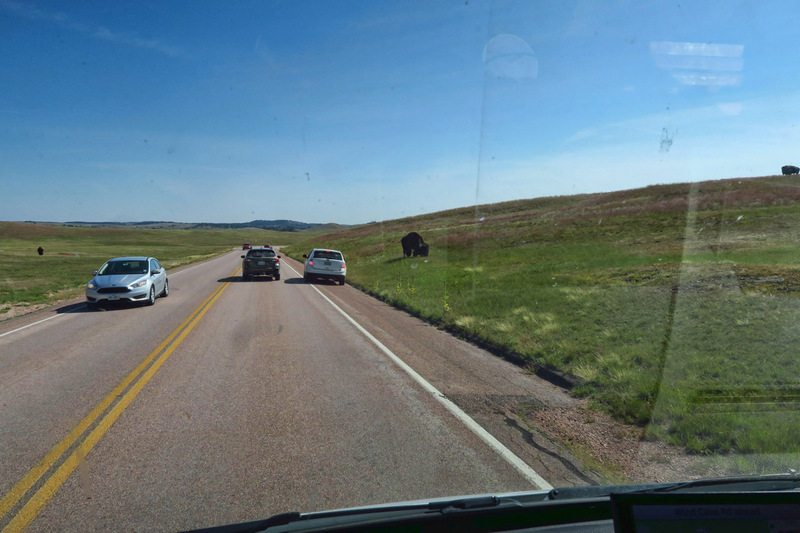 I am excited to see the traffic jam is held up to allow two buffalo to cross the road. But I’m not too quick to pull over on the shoulder as many have done, as I figure there will be many more to come. I confess to the stereotype that now in the “home where the buffalo roam,” I will see herds of buffalo roaming across the prairie everywhere. So I casually roll pass the two specimens out my window, snapping a quick photo as I drive on, not knowing that’s the last I will see the buffalo roam the prairie within the park. I later wonder if my “herds of buffalo” paradigm is like when my brother brought two Chinese exchange students home from college, who expressed their disappointment in learning that not everyone in Texas wears chaps and rides around on horseback. 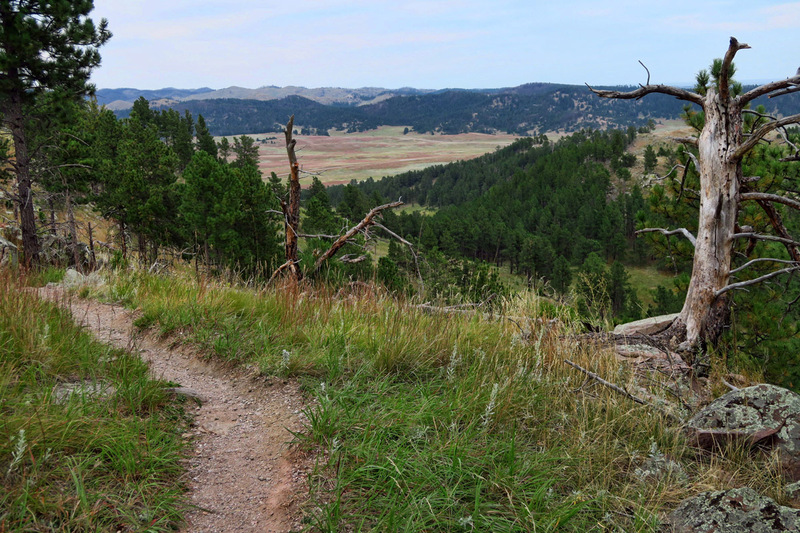 My first buffalo encounter, just inside the Wind Cave National Park boundary. Wind Cave Visitor Center. 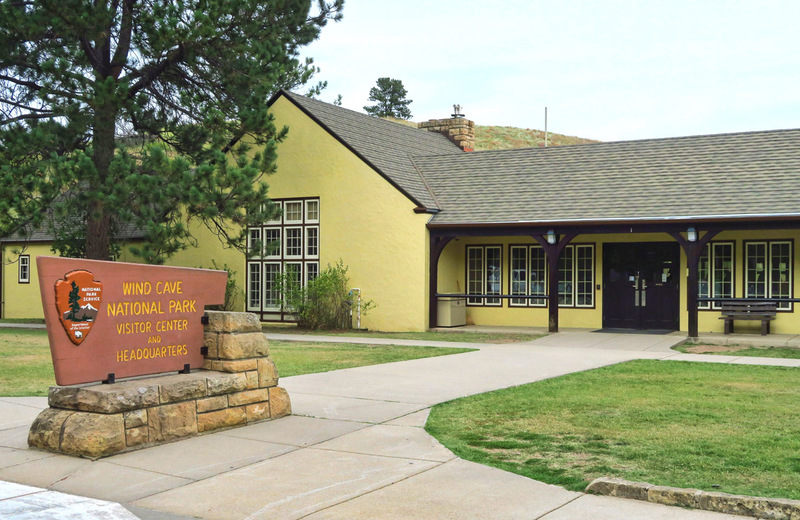 Like so many parks, the CCC were instrumental in the building of the park, including the stucco Visitor Center, trails, and elevator shaft to access the cave. 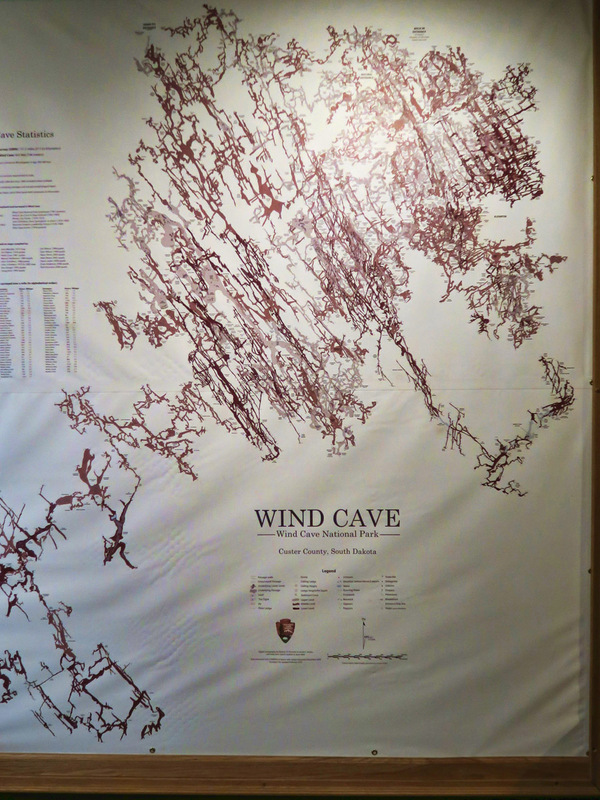 Wall map of Wind Cave, showing a maze of complex passageways. 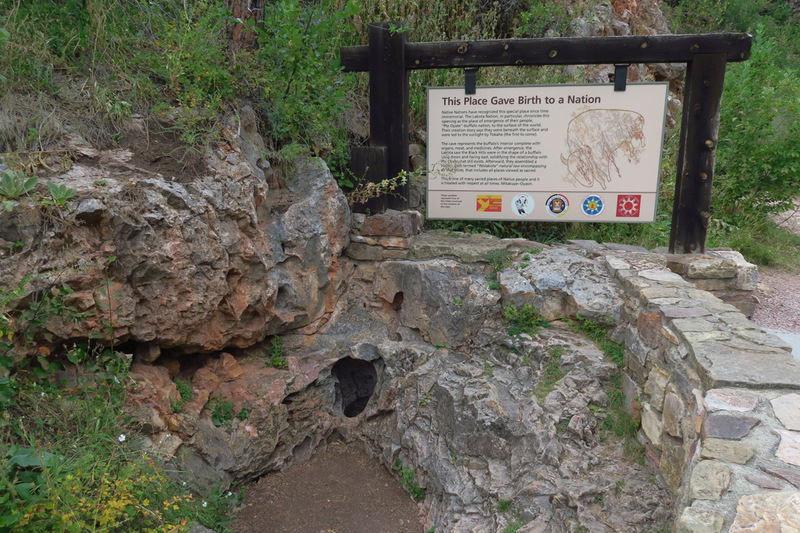 The natural opening of the cave, considered sacred by the Lakota people. 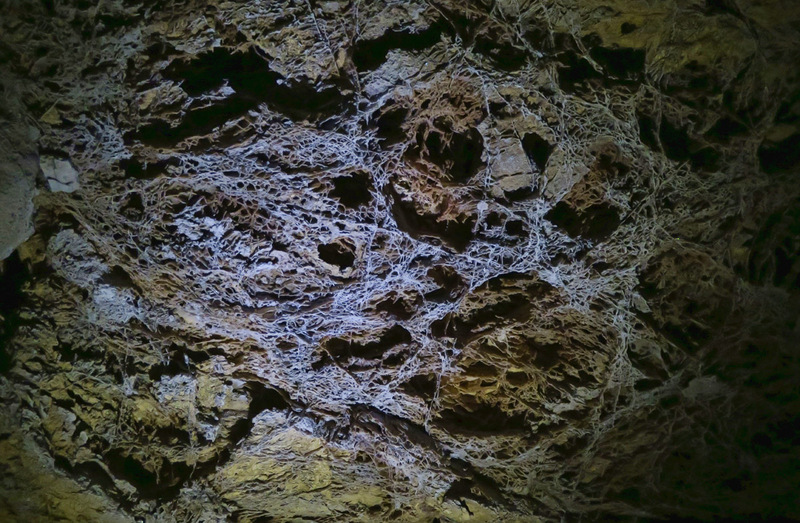 With over 129 miles of explored passageway, Wind Cave’s complex cave system is one of the longest in the nation. It is believed that only a fraction of the cave has been explored. Protected into the NPS in 1903 by Theodore Roosevelt, it is one of the oldest parks in the NPS system and the first park to feature a cave. Although the “white man” claims discovery in 1881, the natural opening has been considered sacred by the Lakota people for centuries. They believe their ancestral spirits emerged from the natural opening. 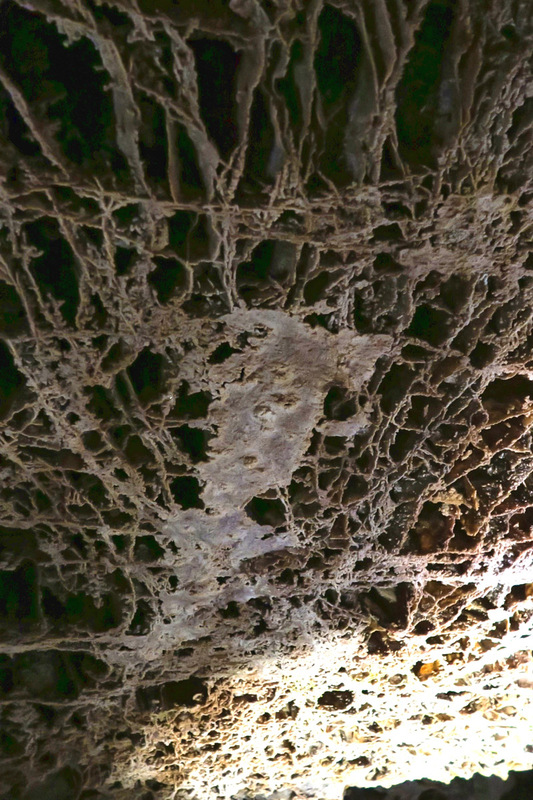 Most of the boxwork is found on the ceiling. Ranger points to features on the ceiling. He tells everyone to get situated, as he is about to shut off the lights to show the extent of darkness. 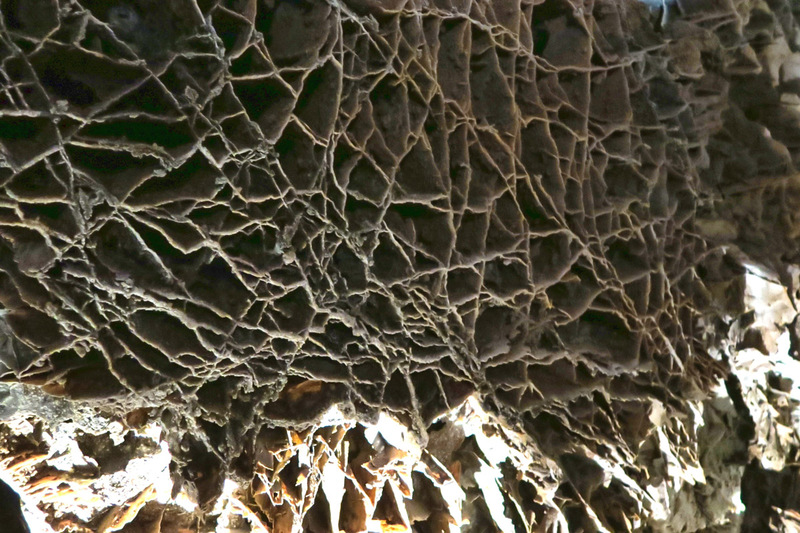 These delicate honeycomb shaped fins of thin, paper-like formations are believed to have been formed before the cave itself. 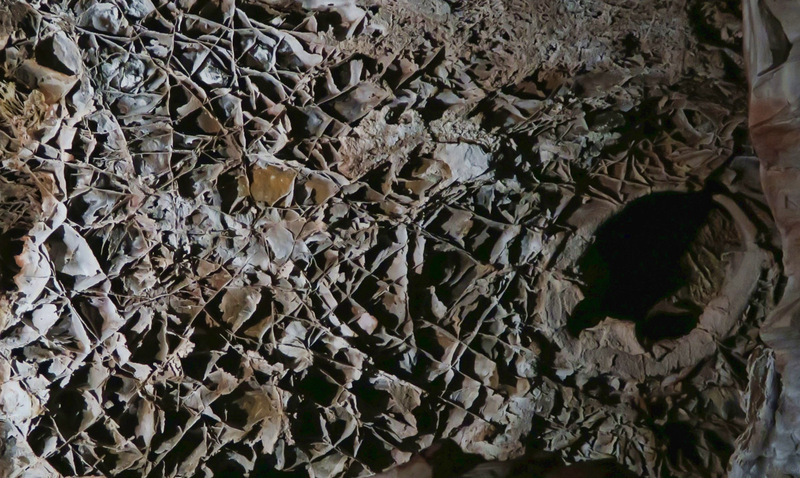 As stress cracks occur in the limestone, the cracks are filled with calcite. 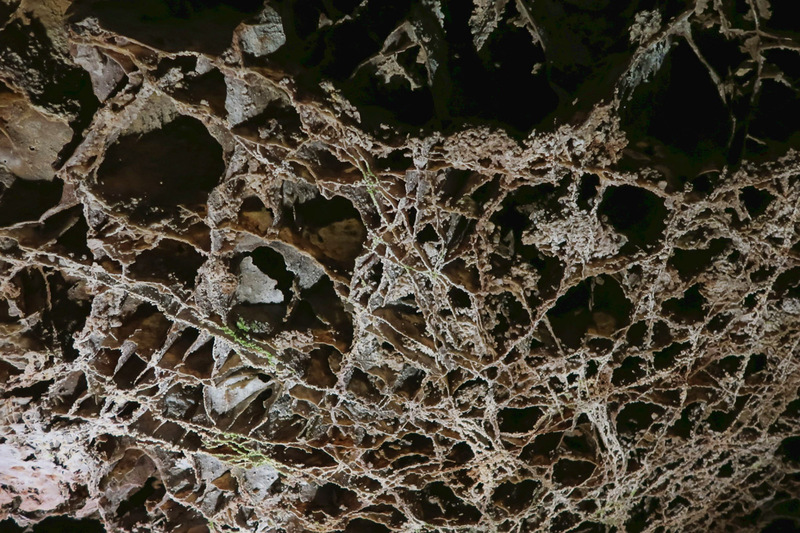 Then acid-rich water dissolves the limestone making passageways in the cave. 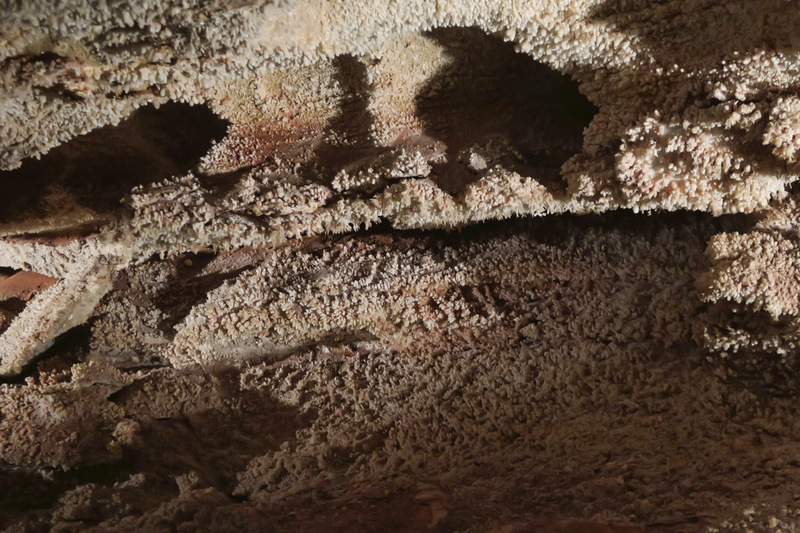 Water drains from the cave, leaving behind the calcite fins known as “boxwork.” These formations are somewhat rare, with over 90% occurring in Wind Cave. The Fairgrounds room has a large area of frostwork as well. 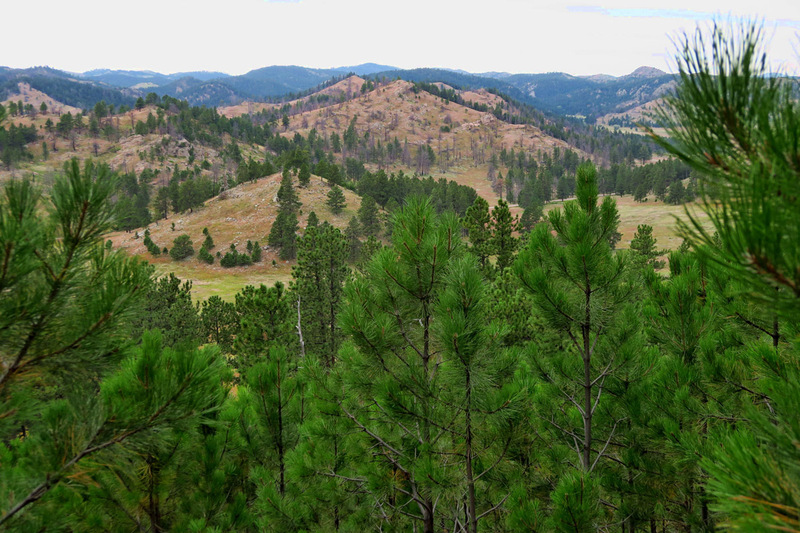 There are 30 miles of hiking trails through the Black Hills within the Wind Cave park boundary. 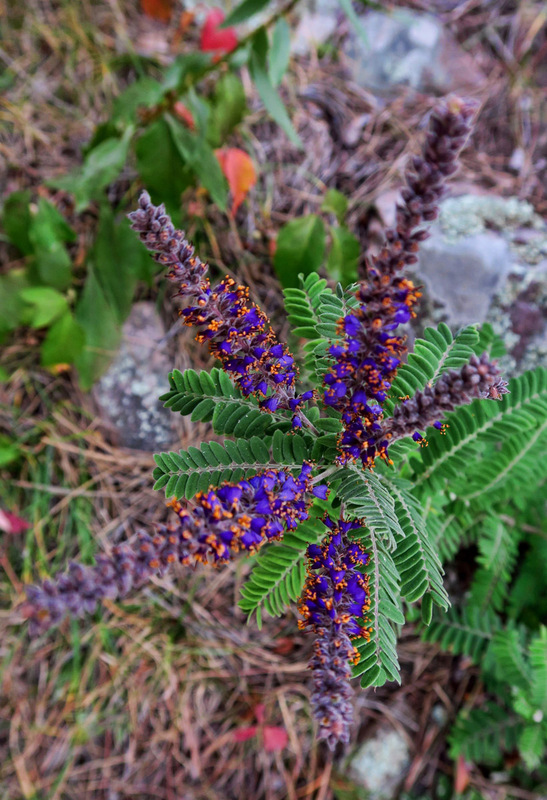 I don’t know what this is, but the purple/orange blooms are beautiful. Hiking trails are nice, but not memorable. Off on my self-guided Wind Cave “wildlife safari” across the prairie. The park recently reintroduced the black-footed ferret, predator of the prairie dog to help control the population. 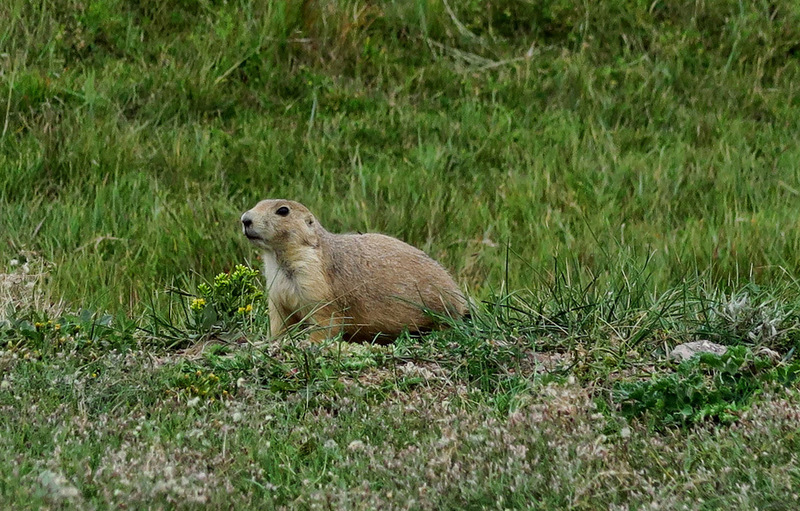 They can consume over 100 prairie dogs in one year. 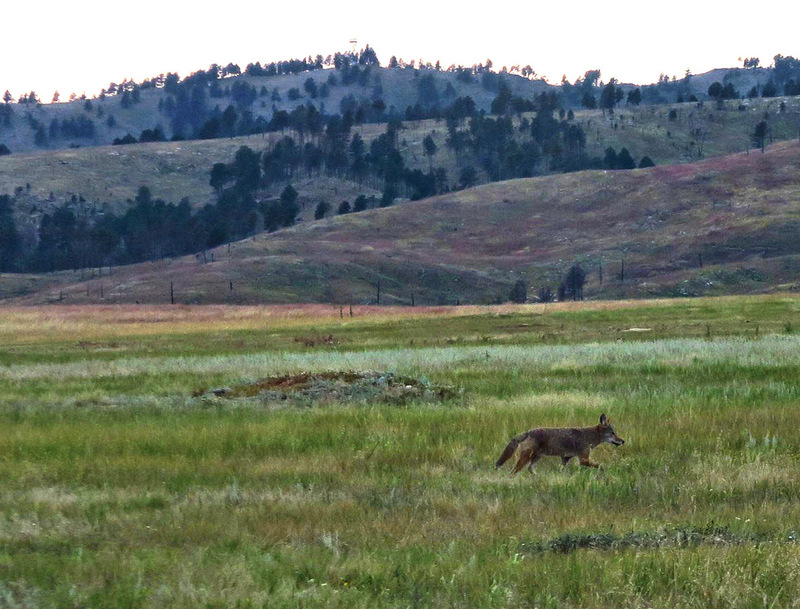 The Prairie Dog’s predator is also the coyote. 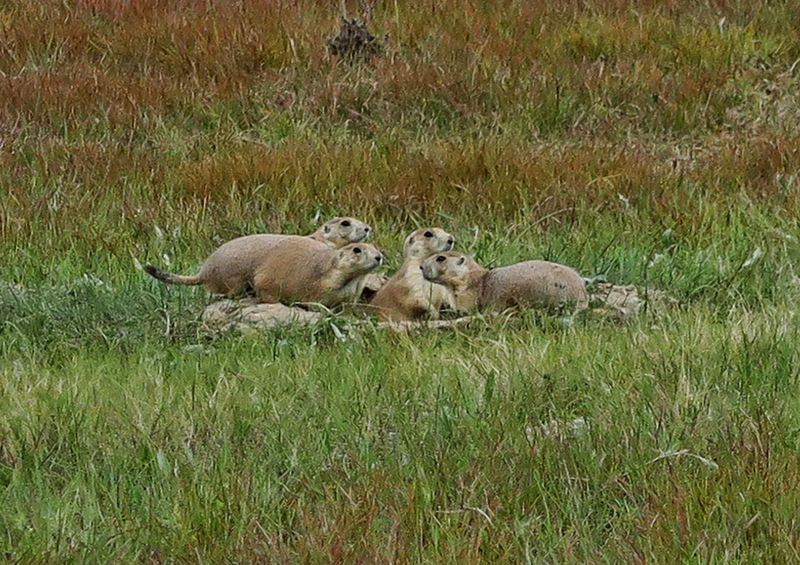 They have to be fast though, as prairie dogs dive back into their burrows in the blink an eye. 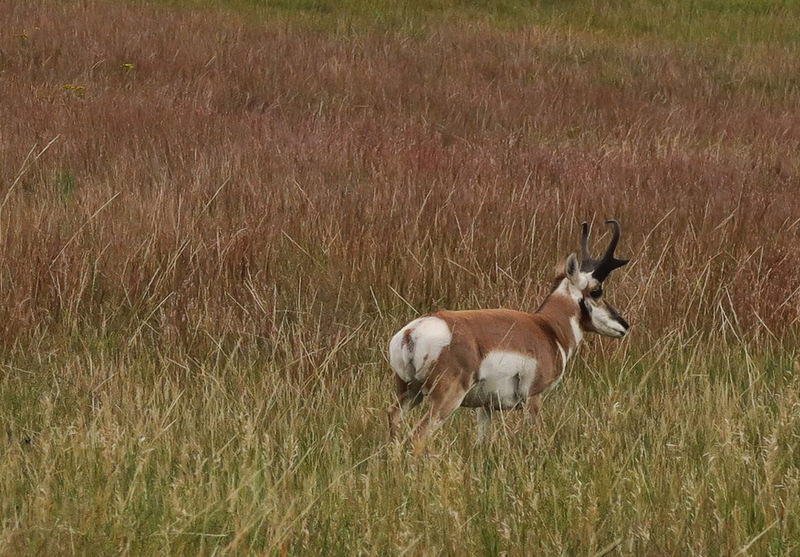 Pronghorns are the fastest animal in North America. They can run at speeds up to 60 mph. 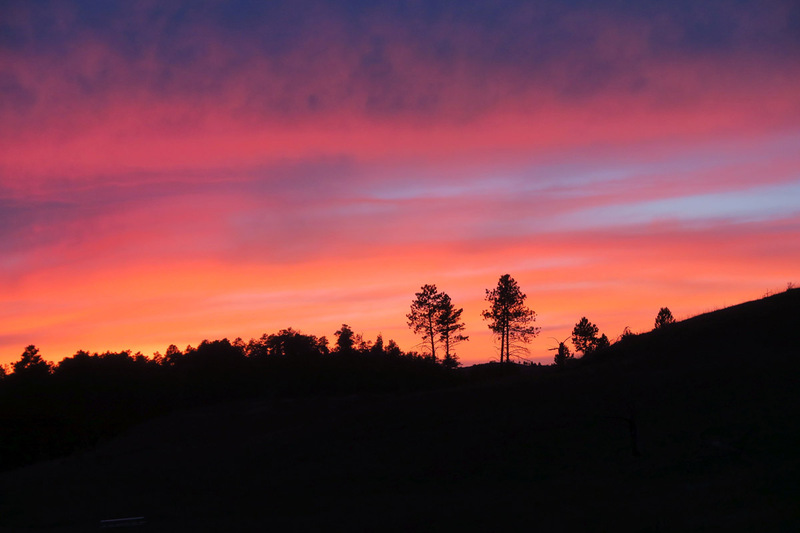 Taken from my campsite in the Elk Mountain CG within the park. 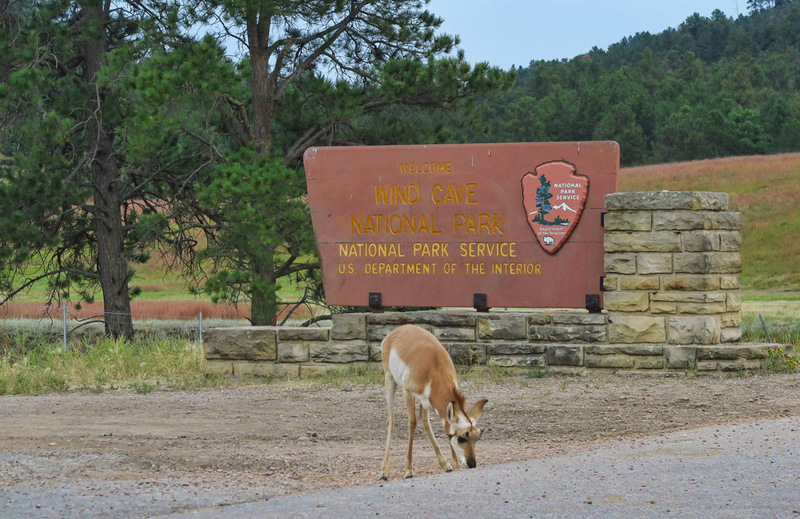 This entry was posted in National Parks, South Dakota and tagged Wind Cave National Park by Suzanne. Bookmark the permalink. Good work once again Suzanne, I love it that you credit the CCC; boggles my mind what they accomplished in such a short time. It is amazing what these young men did for the country. 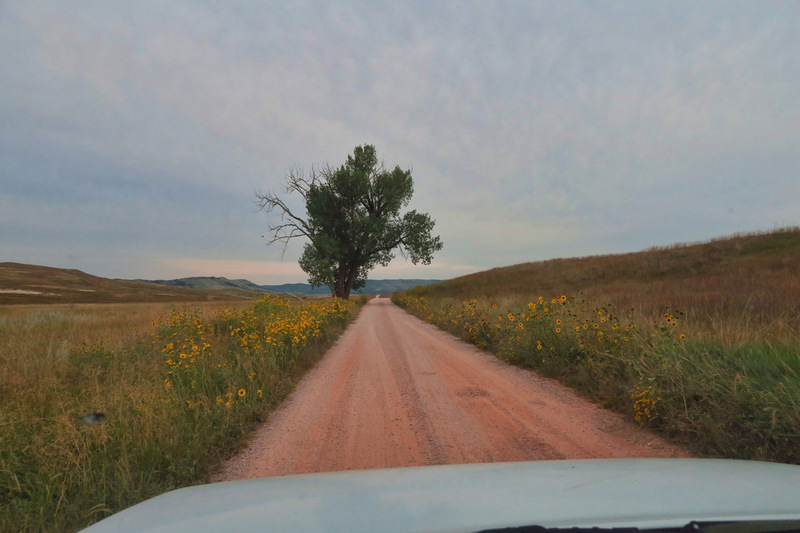 What they did for South Dakota transformed the state. Thanks for the comment and for visiting the blog, South Dakota CCC.org! Hi, Don. Thanks for the question. I happen to adore my Tracker! Ownership is a bit of a cult, as I have had more inquiries to buy my Tracker than any other car I have ever owned. I put it in storage in Maine before I crossed over to Atlantic Canada because I didn’t want to tow through the Maritimes. When I came back two months later, I had a note asking if I would consider selling it. And for the other concerns, that has not been my experience. But then the only “problem” I have encountered was self-inflicted, when I mistook steam coming from the engine from smoke of burning oil. The thermostat stuck, the engine overheated, and the block cracked. See October 11, 2014 post titled “Together…Again” for a recap where my brother dropped in a new engine. I am limited to the weight of a vehicle that I can tow behind the already overloaded Sprinter Chassis. Add to that the fact that the Tracker 1.) can be towed four down, 2.) has 4WD, 3.) has high ground clearance, 4.) tows like it’s not even there, and you can see that it is perfect for my needs. However, with that said, your needs might be different than mine. Hope the insight was helpful. I did not know about this NP. Thanks for the information. It is now on my list. How very interesting! 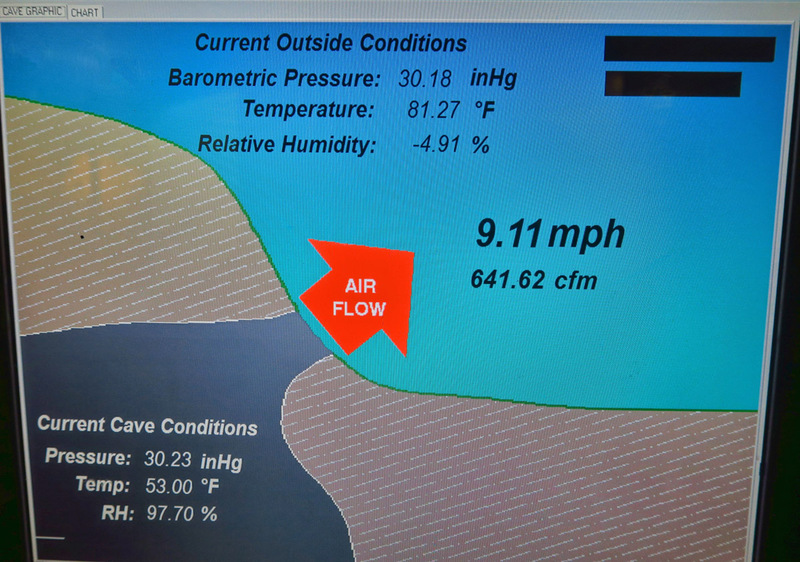 Never heard of a wind cave. In my youth a very long time ago I once explored and camped in a breathing cave in Virginia near Staunton. 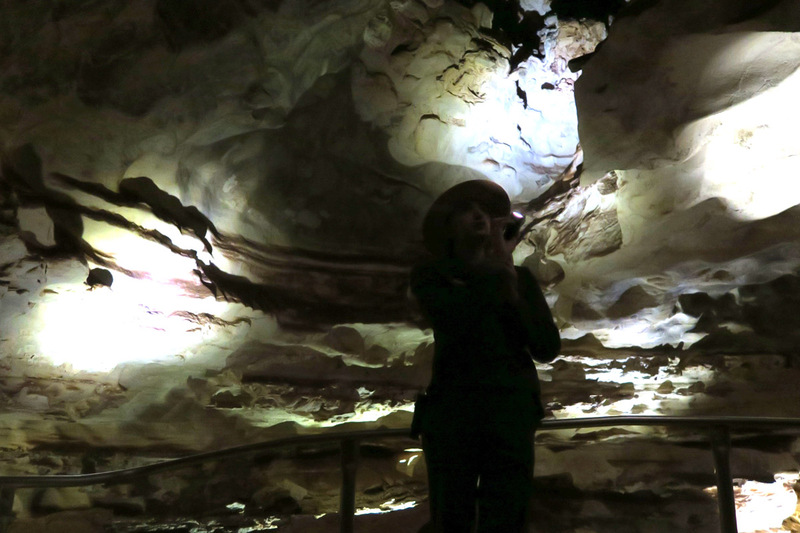 Oddly enough, it was named Breathing Cave and IIRC it cycled about every 9 minutes. It was a very big cave and is now closed off and on private property. 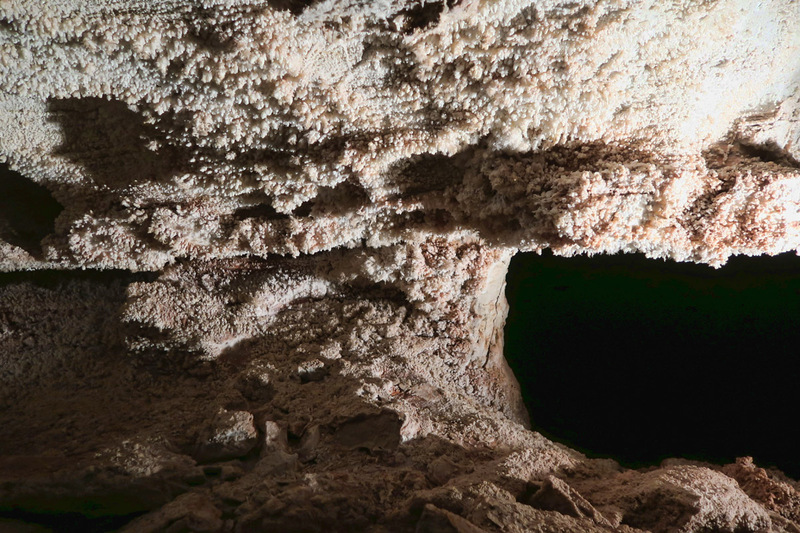 Marti and I are both retired spelunkers so we will have to visit this one someday. I meant to add that we were in that cave three days. “Retired spelunkers?” Seriously? Have I ever told you I am a card-carrying member of the NSS-CDS? 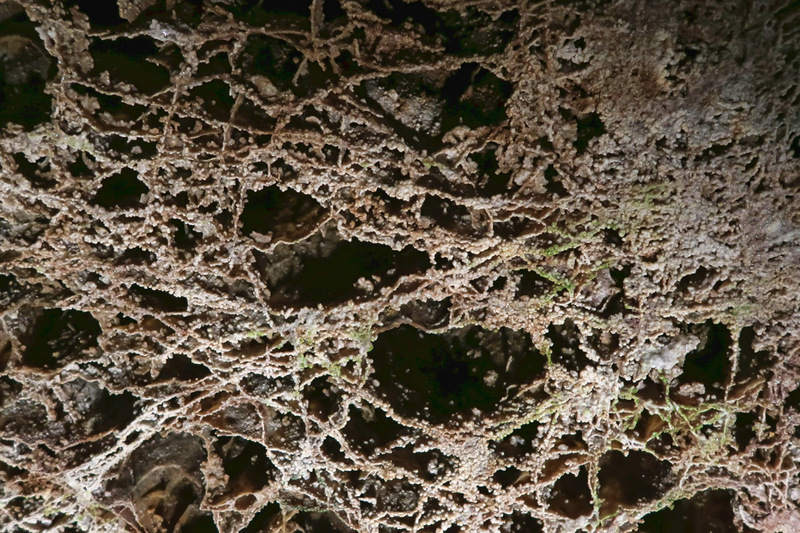 (National Speleological Society, Cave Diving Section.) Another topic to be discussed over bourbon, no doubt! Never heard of this place, thank you again for opening my eyes to your great country. Too bad about the buffalo. Bummer we were not able to get together but I am glad to see you made it on a Wind Cave tour, some of those formations are just incredible! We had a bison follow us along a good portion of the trail we hiked in Wind Cave. We had to constantly find a place we could go for cover if he had decided to go rogue. Thanks for the tour of the caves once again. Please feel free to join our list of email subscribers by clicking HERE! All materials and photographs are copyrighted. Copying, linking to or presenting in any fashion is strictly prohibited without express permission from site owner.